Except at the time. I was highly involved in a group of friends racing in a game called Initial D.
Not even close. It's a fun car to drive all the time. I don't worry about rain or snow or rust or really anything and that's why I got it. Don't need back seats and it's cheap to mod and maintain. I saw my first 350Z in a Home Depot parking lot in 2004. I just kept walking around the Z thinking “This is pretty cool.” Later I discovered the price and was amazed that I could afford one. So I bought a new one. I was 55 at the time. Cool is still cool wether you are old or young. No way. I wanted a fast GT and had $10K to spend. I like my Z but if I had $30K to spend, for example, I would have got a Cayman S or a mint E46 M3. Z is a good car though. Fast, cheap, easy to mod, somewhat comfy over long drives and luxurious. Can't complain. And on a serious note we have it...I wanna take it to a dream state! Well I didn't build the Z myself, Nissan did. I just modded it with some off the shelf and some handmade parts to maximize the car I own. ^ I saw that video and it's awesome! F40 is def one of my "dream cars." There are dream exotic cars and there dream regular sports cars that are obtainable. The 350z would fall in the latter. 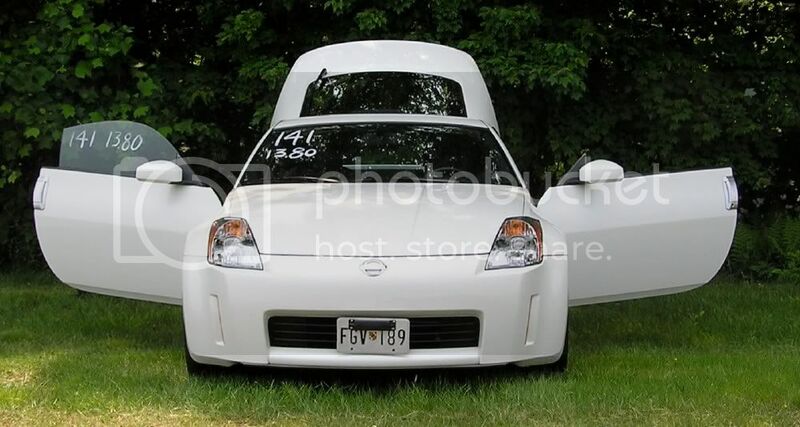 To me the 350z was an 'I'll settle for it since I missed all the awesome Japanese super cars in the 90s" car. It was the first new production sports car that Nissan, Toyota, Honda, & Mazda had released that I like. Back in 2003/2004 my choices were the S2000, RX8, or Z. The Z was the only car that fit me comfortably. However after 4 years of ownership I was very disappointed in it for various reasons. My dream obtainable car is a 93-98 Toyota Supra original 6spd TT. Now I am living the dream. I always wanted one after I saw tokyo drift but i never knew the name of it, until like 4 years ago...and now I have one. But it was never my dream car, it was just one of the cars I was going to get. My dream car is a Ferrari 458.